How can you tell that you’re unhappy at work? That something may not be right and that it’s time to either make some changes at work, or move on to a new job? As part of my work, I talk to a lot of people who are not happy with their jobs. Here are the top symptoms of unhappiness at work that I continue to observe. How many apply to you? You really, honestly try to get some work done. But somehow you never really get around to it. Or you only do it at the last possible moment and then only do a half-baked effort. Many people view procrastination as a personal weakness. To me, it’s one of the strongest warning signs of unhappiness at work. Some people don’t sleep on Sunday night very well because I’m worried about going to work on Monday morning. One of the worst things about being unhappy at work is that the unhappiness eats into your free/personal time. If you have a lousy day or week at work, it’s difficult to go home and still have a fun, relaxed, carefree weekend. Sometimes you don’t like the job itself, so you focus much more on salary or perks. Those unhappy at work get a lot more competitive, for a simple reason: When work does not give happiness and enjoyment, people want to get something else out of it to make it even. That’s when they focus on compensation and promotions. When we are in a bad mood, we are much less likely to help others. This is the common psychological response. So you casually pass by a coworker who is trying to balance a heavy box. You just care about your own paycheck while things may go wrong for your workplace. Friends at work? When people can’t connect with coworkers for whatever reasons, work becomes mechanic and people become unhappy. Mind longs for workplace engagement. Small annoyances bug you out of all proportion. Like someone taking up too much talking loudly, air conditioning too high or low, someone taking long at coffee machine. When you’re unhappy you have much thinner skin and a shorter fuse. It takes a lot less to annoy you. No matter what people do, your first thought always is “what are they up to?” Whether it is good, bad or routine, all decisions and actions made by your managers or co-workers are seen as negative. You are suspicious of others when unhappy. You suffer from insomnia, headaches, low energy, muscle tension and/or other physical symptoms. 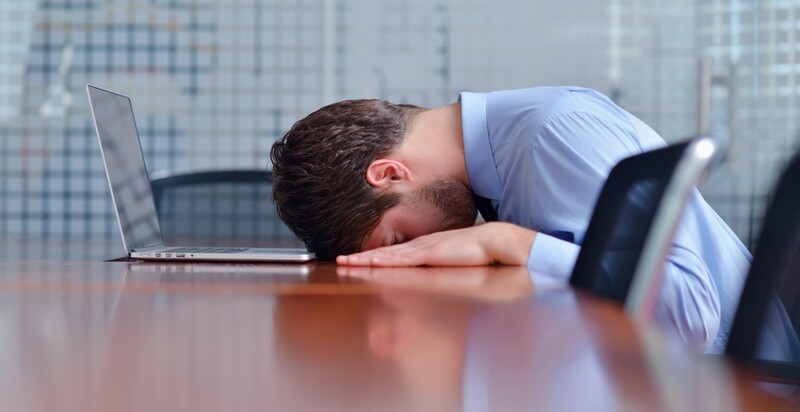 When you’re unhappy at work you’re more prone to experience these physical stress symptoms. This may lead to high cortisol hormone level and weaker immune system. 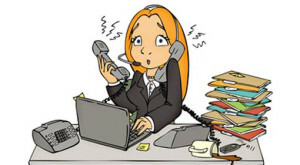 How many of these symptoms apply to you in your current job? When to Reward or Recognize? 1. Reward is tangible, recognition is not. Reward is generally monetary such as commission, bonus, salary raise or a gift card. Recognition, on the other hand, is often not visible and yet can be of significant value. It seeks to decorate the achiever. Example: higher title or designation, badge of honor, control. Rewards are consumable whereas recognition is experienced. 2. Reward is transactional in nature, recognition tends to be relational. If a person or group does “XYZ” then they get “ABC” in return. That is a reward. Recognition is more of a relational exchange between people. From the company’s point of view, rewards are great for attracting people to an organization, and recognition is perfect for keeping them. 3. Reward can be transferred whereas recognition cannot be. Reward has potential to exchange ownership from one person to another. Recognition cannot be removed from the person given to and therefore long lasting. 4. 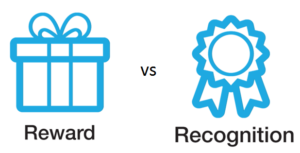 Rewards can be conditional, recognition is usually not. Rewards are a direct result of certain achievement or goal. It is therefore often expected. Recognition can be both – consequence of a fixed result or not a so expected result of prior work and sudden. In short: Both reward and recognition have positive influence on receiver’s psychology. Reward is economic, short-term therefore less personal. Recognition, on the other hand, celebrates the person or group of people that has attained a certain level or acquired significance as part or result of ongoing effort. This article was contributed by Reema Mehta. This post talks about tips for those looking to build and shape their successful personal brand. First and foremost, when looking to build your personal brand, you need to watch your attitude. Attitude here refers to the unique attitude that you have and how to develop it into something memorable and meaningful. Your attitude is one of the most essential components of your personal brand. Here’s how to shape it. No matter what you do with your personal brand, it’s going to have an attitude. Don’t let it shaped by the things that you do (or forget to do). Rather you can choose to intentionally shape that attitude. Define your attitude i.e. your approach to shaping that attitude is extremely important for your future success. Each of us possesses a complex set of drives, goals, experiences, beliefs, emotions, skills, passions and motivations. But you cannot possibly convey everything about yourself in a personal brand attitude. Try picking just a few things and include this in whatever do – Whether you network, write, blog or speak- try to keep these few things in mind. Otherwise, you will end up diluting the attitude that you’re trying to create. This is something that is really important for personal branding: You are unique. As we know, the world is full of people trying to be someone else. How good is that? There must be something unique that you have – something only you know and understand. Don’t deviate from being who you really are – offline or online. Let your true attitude be seen. The most successful personal brands are those who highlight who they are. They are unashamed of showcasing it. Other people contribute to who you are by writing testimonials and other things about you. You’re not the only one who gets to create your personal brand attitude. The great thing about these external contacts and interactions is that you get to select which of these you want to showcase. Choose those that accurately reflect who you are. You can have attitude and still be very pleasant. But, let’s face it, some people aren’t going to like you no matter what you do. That’s very true in real life as well as in your personal online brand. Everyone can’t like you, so don’t aim. As long as you are who you are, the right people will gravitate towards you and don’t worry about the others. When my friend first started her entrepreneurial journey, she got really discouraged with people – mostly millionaires – who wouldn’t give her their time. She misunderstood them, because she misunderstood a lot of other things. That’s often the case with people who don’t like your personal brand. If they misunderstand you, there’s not much you can do. Opinions are basically personal thoughts and feelings that you have on certain issues. These are the viewpoints that shape your approach and attitude. Remember, creating a personal brand takes a long time. Your brand attitude may not come out right the first time. It takes a lot of consideration to figure out just how you want to sound and be seen. Plus, you gradually understand how people perceive you. People who have been developing personal brands for years constantly tweak and try to get it right. Boldness can be an indispensable characteristic for creating your brand attitude. Some opinions expressed in this article may be those of a guest author and not necessarily Psychology.net.in Magazine.